We offer a variety of patios made from man made and natural stone slabs. All our patios are constructed on a base designed to give strength and stability making your garden space that little bit more special for years to come. 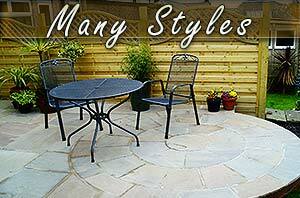 Your choice of patio should take into account the style you require as well as the space available. At G build we work with you to help you chose a patio individually designed with your needs and budget in mind. From small courtyard spaces to larger projects we are confident we can exceed your needs at an extremely competitive price. Call us for a free no obligation quote. G build offer a professional and competitively priced block patio paving service in Chesterfield near Sheffield. Our block paved patios are are paved to last and last. Choose from the usual multitoned blocks and bricks as well as stone, black stone and beautiful bluestone. Just give us a call for a free quotation. If you are on a budget traditional concrete slabs look lovely and stand the tests of time. Not only are concrete slabs cheaper per square meter but are less time consuming to lay making them an all round cost effective patio paving option. Available in a choice of colours and shapes. 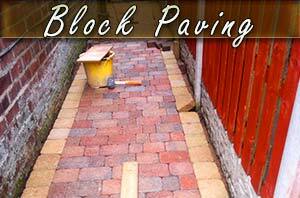 G Build's block pavers are experts for block paving in Sheffield, South Yorkshire. 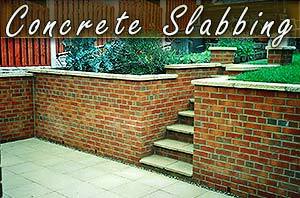 Our experienced builders in Sheffield have block paved many paths, driveways and patios around the Chesterfield and Sheffield areas. Block paving not only improves the appearance of your property it can also increase the properties value. For a beautiful patio in Sheffield or Chesterfield call the block paving patio specialists on: 01246 419111 or visit our contact page for a free no obligation quotation. We cover Sheffield and Chesterfield, South Yorkshire and Derbyshire.Pathways and patios custom built to your requirement or let us maximise your available space. G Build are a well established paving and patio company at Dronfield Sheffield, with an extensive knowledge of laying new patio's and paths. "There are more slabs and pavers available than ever before in a variety of colours and textures to suit any garden." For the more decorative look there is wide range of paving available in different sizes and colours. One of the most popular styles of paving is the random patio which consists of different sizes of paving slab laid together in a random pattern. . There are many styles and colours of random paving including textured, riven, smooth and decorative. We can also lay your paving to match in a random pattern, english bond or herringbone. We can advise, design and plan your patio and garden to suit all of your requirements. 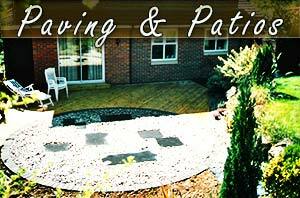 Patio paving Sheffield, patio pavers Sheffield, Patios Sheffield, Patio Building Chesterfield, block paving Sheffield, G Build, PATIO PAVING SHEFFIELD.